Choosing to study in Poland is a choice that has recently been popular with delegates arriving in the country from countries including the UK. One of the main reasons Poland is a popular is the fact that professional development training courses are often available in the English language. 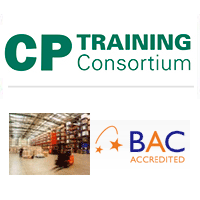 Training courses are now available across Europe that are accredited to globally recognised industrial and educational organisations. Participants searching for professional development opportunities are now looking to Eastern Europe for the generally low cost of tuition fees and the high quality courses administered within the European Union. One of the most popular choices is to choose to study in Poland, a country with a growing economy since its acceptance into the European Union in 2004. In 2014, over 400 training courses in Poland are offered in the English language, which makes it simple and easy for participants to transfer easily into a Polish educational institution. Like many of its counterparts in Central and Eastern Europe, Poland places a high position on its educational opportunities. Professional development training is available at a relatively low cost when compared to the tuition fees charged for similar courses in countries like the UK. These low cost tuition fees are generally available to all delegates attending a college or university to complete professional development training courses. Despite the low cost charged for tuition, professional development training in Poland is accredited to major educational groups and completed qualifications will be accepted by employers and educational institutions around the World. Poland can offer a lot more for many of those entering the country to expand their professional development. Large levels of migration into and out of the country have seen the growing economy of this country in the European Union have opportunities for those completing training courses to remain in Poland after completing their professional development and work within their chosen industry. It is also possible to make a large number of contacts in a country, such as Poland that has a growing economy based in large cities, including Warsaw. Many businesses and companies in Poland look for graduates from professional development training courses to add skillful employees to their business that may have a local or international focus. There are many reasons to study in Poland, not least the lower level of tuition fees charged that can allow a participant the chance to live comfortably in the country as they study for important qualifications. Both industrial and theoretical based training courses are available that can lead career advancement opportunities for those study for these globally accredited qualifications. Enjoying a unique and individual culture is easy to do in Poland, the large number of migrants arriving from the rest of Europe is only adding to the diversity of the country.